A currently popular podcast known as “Dr. 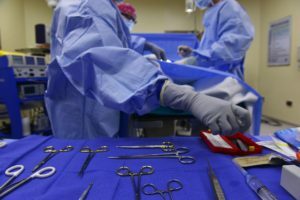 Death” recounts the shocking record of patient harm of neurosurgeon Christopher Duntsch during his years of practice in Texas beginning in 2011 and ending in 2017 when he was sent to prison. Duntsch became the first doctor in the nation to be condemned to life in prison for his practice of medicine. A jury convicted him after an email to his ex-girlfriend, in which he confessed to having become or wanting to become a “cold blooded murderer,” was admitted into evidence. His story has helped draw attention to long-discussed reforms of the licensing and discipline system. “Dr. Death” dramatizes some of the holes in physician regulation that allowed him to continue practicing, since he was only stopped after behavior so egregious that he was criminally prosecuted. Gaining operating privileges at different institutions proved easy for Duntsch, a personable and disarming surgeon who inspired confidence in his patients. The average neurosurgeon can add about $2.4 million a year to a hospital’s revenue stream, according to the Pulitzer Prize-winning investigative journalism website ProPublica. But, as ProPublica reports, Duntsch left a trail of badly injured patients throughout his relatively short career as a neurosurgeon. For example, during two years of practice in Dallas, he operated on 37 patients with 33 of those patients suffered injury, bizarre complications, and sometimes permanent nerve damage or death. That pattern continued until 2013 when Methodist Hospital in Dallas reported Duntsch after denying him privileges based on “substandard and inadequate care.” But another hospital soon gave him privileges despite the report. The state medical board investigated Duntsch over several months and first suspended, then permanently revoked the surgeon’s license in December 2013. Police arrested Duntsch in July 2015 and prosecutors charged him with one count of injury to an elderly person and five counts of assault, based on his work on patients. But ProPublica speculates that Duntsch might have been stopped earlier if not for 1) Texas’s medical malpractice law, adopted in 2003, which, by limiting awards for pain and suffering in most cases to $250,000, has shrunk the number of suits filed and amounts paid out; and 2) the tendency of hospitals to ease a physician out rather than report incompetence or malpractice to the national databank.